The Ritz Carlton Beijing and JW Marriott Beijing, the official hotels for the Wharton Global Alumni Forum. To reserve a room at a preferential rate of USD$ 200 per night with breakfast (valid for 1 or 2 persons inclusive of tax and hotel service charge) contact the following persons from the respective hotels. 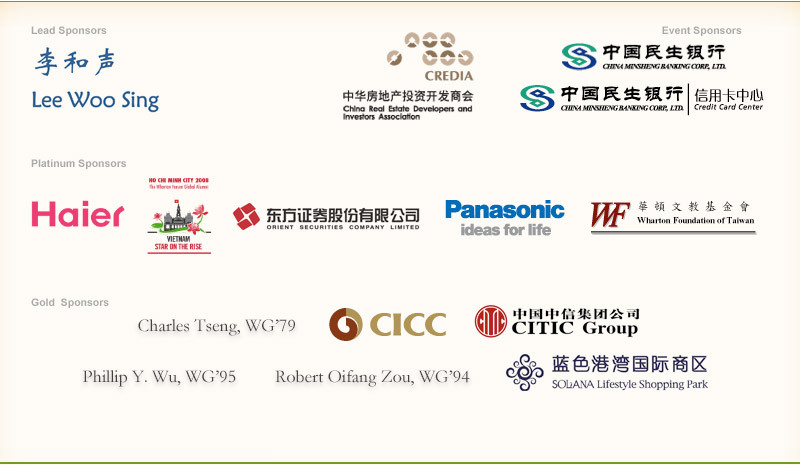 Be sure to reference the event name “Wharton Global Alumni Forum in Beijing”, reservation code is “WRC”. The Ritz-Carlton, Beijing is the ultimate luxury destination for travelers en route to the 2008 Olympic Games, or those simply seeking to enjoy the many treasures of this timelessly beautiful city. The JW Marriott Bejing is located in the heart of the city near area attractions and entertainment. The newly opened luxury hotel business hotel in Beijing with spa, indoor pool, internet, gym, restaurants and 1,800sq m of meeting space.